They sure had a lot of large auditoriums here. 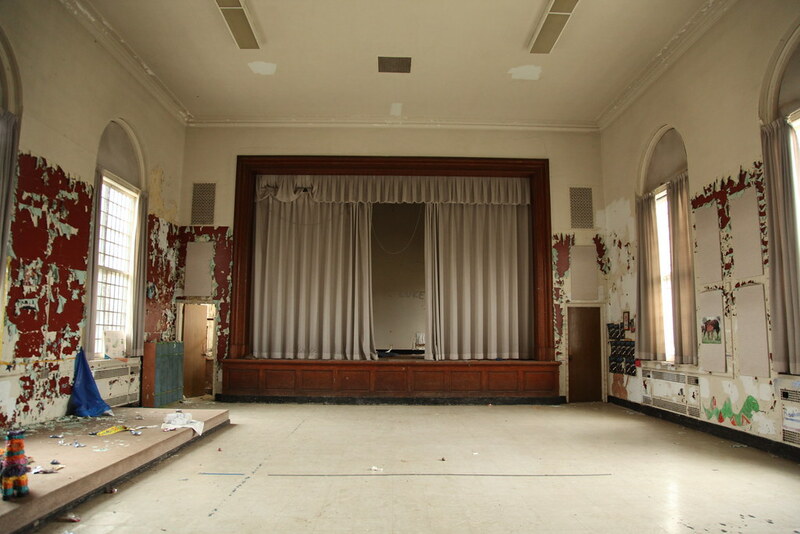 This particular space was somewhat at the crux of four other interconnected buildings, although unlike many of the other interconnected wards, the children's ward included an auditorium that was roughly 1/3 the size of the main recreation center. Layers of paint have peeled back from each other on the walls revealing burgundy, mint, and off-white decades of paint.